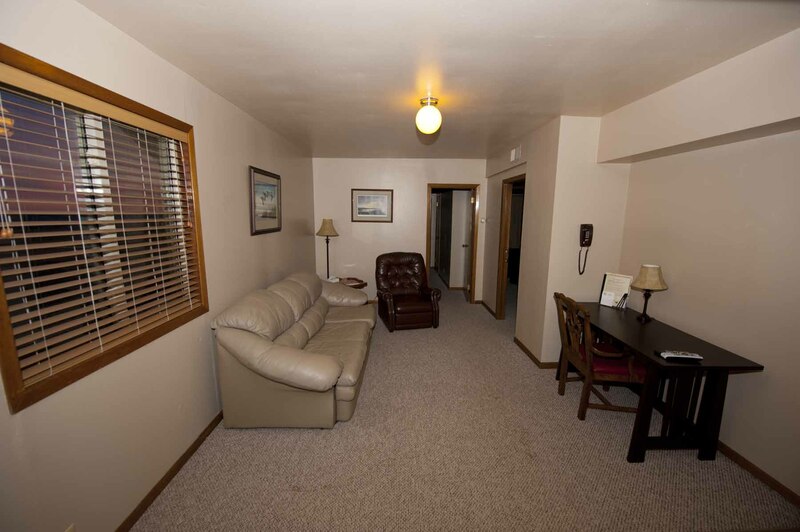 Not that you will be spending much time there, but our accommodations are luxurious and spacious. Just what you'll be looking for after a long day of hunting and fun! We can accommodate up to 32 people in our two bedroom, two bathroom suites at the main lodge. We also have two luxury cabins near the lodge for VIP guests. Suites based on double occupancy. 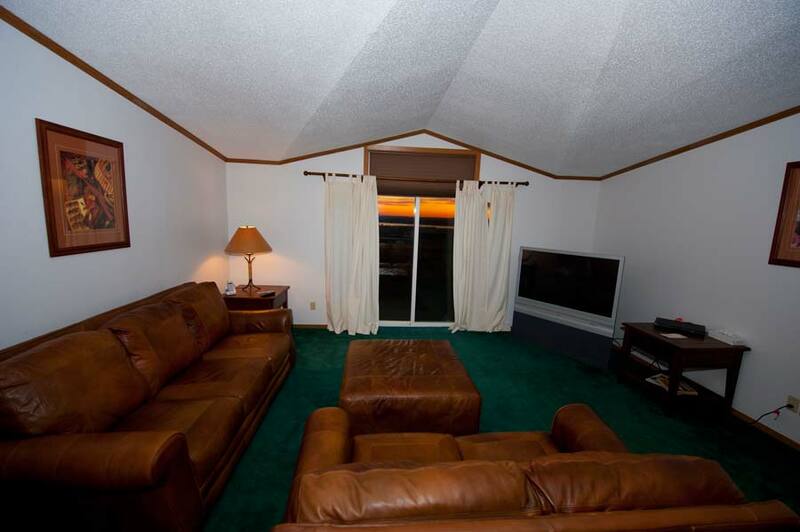 Each suite consists of a gathering area with a couch and comfortable chair, flat screen TV and plenty of space to store hunting gear and guns. Most suites break into two bedrooms with multiple beds and a private bathroom attached. All suites are based on double occupancy but single occupancy is sometimes possible upon request, depending on the time of year.